Paul Noone on his way to victory. Bedford Rotary 12 km – 05-16-09 Bedford, NH. $2,400 total prize money. $20 entry fee. Course record 36:21, Nate Jenkins. This will be the 7th time that the Grand Prix (1985-2009) has had a 12 km as part of the series. During that time Bedford has been the only 12 km to host the championship. CMS has won the team championship four times, BAA and GBTC have both won once. CMS holds the team record with an impressive 3:08:58 from 2000 for an average of 37:48 (5:04 pace) per scoring team member. In 2000 CMS placed all five scoring members in the top six overall and took seven of the top eight places. The last time CMS took the team title was 2005 when they placed five in the top 17. 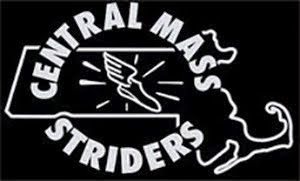 CMS runners have been the individual winners twice. In 2000 Mark Donahue was the winner setting a course and masters record with his 36:48. 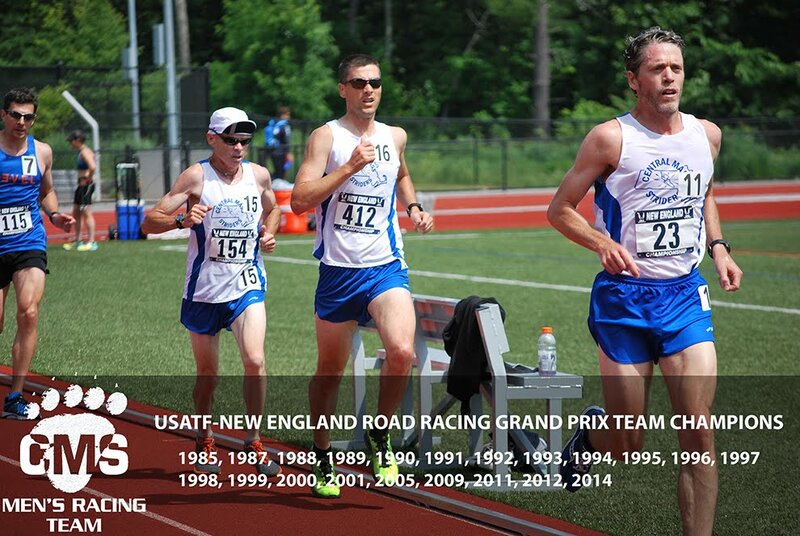 Eric Morse also took home the individual title in 1999, running 37:14. Registration and Parking: Registration starts at 8AM. Ample parking located at Hart Barn on Lowell Road. Entry Fee:$ 20.00 – First 75 entrants receive a race t-shirt. Family maximum $40.00. Water Stations: Water will be provided at start/finish and 2 mile mark. Prizes: Home baked treats to male and female winners in these categories: overall, 40-49, and 50-59. Other prizes to top three in all age categories (under 20, 20-39, 40-49, 50-59, 60-69, 70+), male and female. Refreshments: Bagels, chili, drinks, and snacks will be available following the race. Facilities: The state park’s bathroom facilities will be available. Contributions: Send a check to Steve (payable to The Doug Flutie Jr. Foundation) or see http://www.dougflutiejrfoundation.org/. Course: Course will be marked and will follow Lantern, Litchfield and Hill Side trails (see above map). Ben Nephew has been selected to the 2009 U.S. 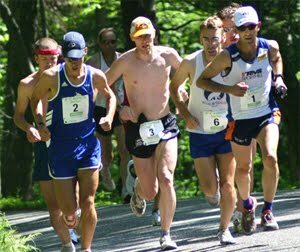 Team to compete at the IAU World Trail Challenge which will be held in Serre Chevalier, France on July 12, 2009. The course will be a challenging 68 kilometers (42 miles) with 3,500m (11,500') of climb/descent. CMS (and Ben at GBTC) have 16 individual age records at the River. Bold is an age group record and Red is the course record. 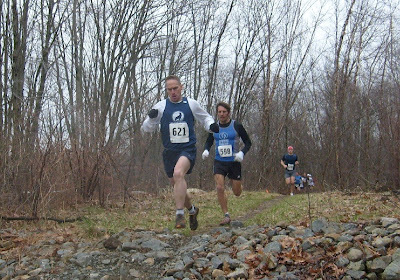 Saturday Results and Visual Evidence for the 18th Annual Merrimack River Trail Race. In a surprise announcement, Lance Armstrong has announced that he will add the Pikes Peak Marathon to his 2009 race schedule. Reaction from the mountain running community was generally positive. Initial hopes that someone like Lance Armstrong, regarded as one of the greatest athletes in the world, would bring added prestige to the sport of trail and mountain running, were tempered by the more experienced voices in the community. Rumors that Michael Jordan was considering making a comeback by entering Pikes Peak could not be confirmed at press time.